Location: Sermentizon, in the Puy-de-Dôme departement of France (Auvergne Region). Condition: Remodeled and restored in second half of 19th century. 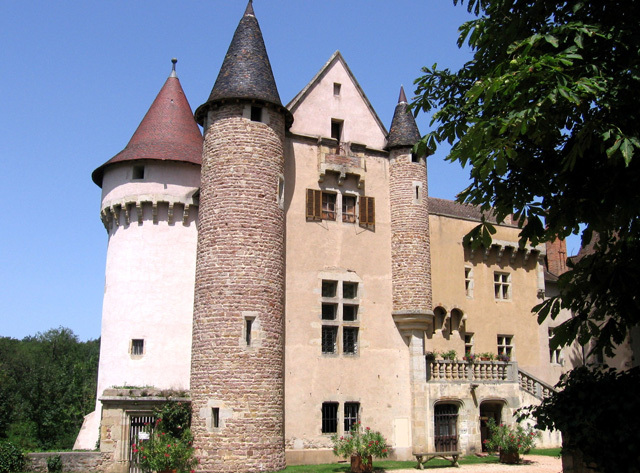 Notes: Château d'Aulteribe is a castle of Puy-de-Dôme Auvergne, in the municipality of Sermentizon. It is located on the foothills of the Livradois mountains. In Roman times, the road leading from Clermont-Ferrand to Lyon passed near the castle. Castle Aulteribe like a hundred other monuments, state property is managed, lively and open to the public by the National Monuments Centre. The 1954 Legacy stated that the exceptional collection of Pierre Marquis was intended "to artistic education of visitors." Thus since 1999, the first higher technical patent woodworking crafts "restoration and creation" was created (IFP43).